The good news: I'm FINALLY breaking the vegan recipes ''dry spell'' today with this FANTASTIC simple and easy summer watermelon and candy beetroot salad recipe. I found the recipe in best selling author Nina Olsson's new cookbook Feast of Veg, and instantly knew I needed to make it for the blog! 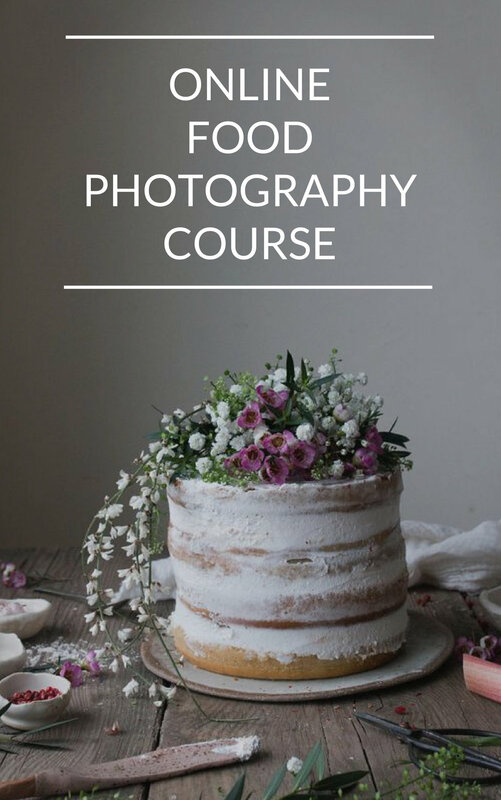 It's a cookbook filled with vegetarian meals, sides, salads and drinks designed especially for sharing with friends and family, at dinner parties and picnics as well as informal gatherings. It's divided into 9 chapters including small bites (think shareable snacks), hearty meals (ideal for colder, cosier winter get-togethers) and sweet endings. Though the book takes inspiration from many different cuisines - including Nina's native Sweden - there is a strong Asian influence that shines through with sesame seeds, tamarind and miso hinting at Nina's love for Japan and her use of lime and ginger suggesting her travels to Indonesia left a mark on her cooking too. The recipe I'm sharing with you today for the watermelon and candy beetroot salad stood out instantly, but when the nights turn colder again I'm sure I'll be making the butternut squash boats, the curried flatbread pizza and the whole roasted cauliflower. I'm also rather intrigued by the black sesame ice cream with lime and sea salt. YUM! Two things I'd like to highlight. Firstly, this is a vegetarian cookbook, not a vegan cookbook though most recipes have suggestions for replacements I know some of you feel strongly about this issue, which is why I mention it. Having said that there are an array of naturally vegan recipes in the book too so if you're 100% plant-based you'll be spoiled for choice! Secondly, Nina's recipes occasionally call for ingredients that you may not be able to find in your local corner shop such as kuzu, coconut sugar and miso paste for example. However, all of the more unusual ingredients are available via amazon as well as most good health food stores. I would also suggest that if you're serious about (plant-based) cooking, many of the more exotic condiments will enable you to create lots of new flavour combos and are GREAT to have in your cupboard. THIS COMPETITION IS NOW CLOSED!All you need to do for a chance to win is tell me: What's your favourite summer fruit? Please be quick with your answers, entry to this giveaway closes at midnight (Greenwich Time) on Wednesday, July 25th, 2018. The winner will be picked and notified within a week of the closing date. Please note that this competition is open to UK residents only. Therefore, I'd be super grateful if you can be clear when you comment whether you live in the UK or not. And even if you don't, please still feel free to let me know what your fruit of choice is. I'd love to know. Good luck! CONGRATULATIONS TO BEATRIZ WHO IS THE LUCKY WINNER! P.S. Love this blog? Enjoy my recipes? Think my writing is engaging and fun? 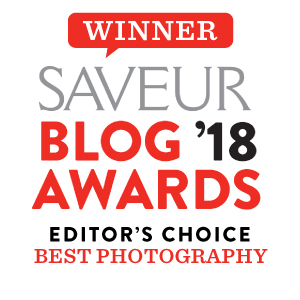 Then please consider clicking here and voting for The Little Plantation (in whichever category you like) in the 2018 Saveur blog awards. It is THE most prestigious award a food blogger can get and frankly just getting nominated is a MASSIVELY big deal. Thank you so, so much. Salads are all about the dressing and this one here doesn't disappoint! It's umami at it's VERY best, which goes so well with the sweet and refreshing watermelon and earthy beetroot. I promise, you'll love it! Prep the watermelon and beetroot,arrange on a serving dish and set aside. Next make the salad dressing by combining the miso paste, capers, tamarind sauce, lemon juice, maple syrup, nutritional yeast, water and pepper in a food processor. Whizz together until smooth. Transfer to a small saucepan and bring to the boil, stirring occasionally. Once done, allow the dressing to cool and subsequently whisk in the vegannaise. Drizzle over the watermelon and beetroot immediately and garnish with sesame seeds and edible flowers if using. Enjoy! Tip 1: You'll have lots of dressing left over. Just keep in the fridge in an airtight container and drizzle over salads etc. over the coming 2-3 days. Tip 2: Can't find candy beet? This salad will work just as well using golden beetroot as well as regular beetroot. Tip 3: Not sure about edible flowers. Then replace with micro greens or finely chopped baby spinach. BTW - never want to miss a giveaway or a vegan recipe? Then join my mailing list at the end of this blog post. I'd love to have you on board. Newer PostCAN YOU BEAT THE INSTAGRAM ALGORITHM WITH COMMENT PODS?